Andrew Tarusov is an artist from Los Angeles who originally grew up in Russia. 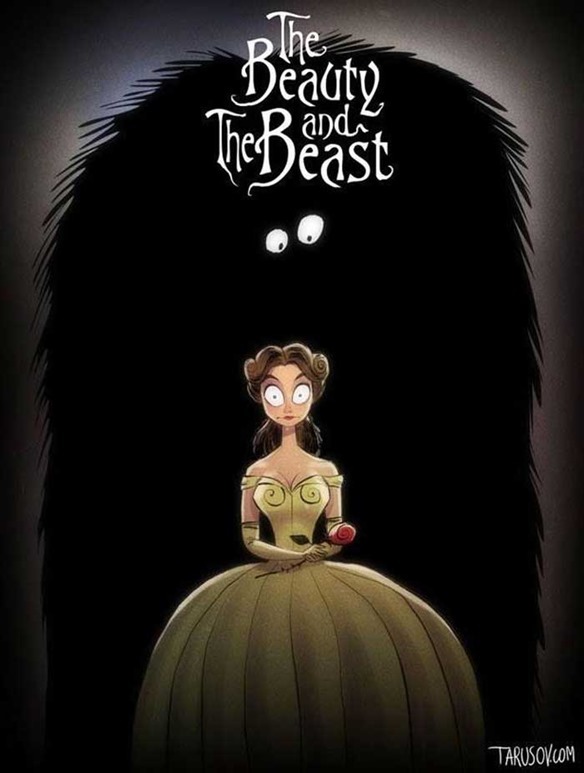 He has recreated a bunch of Disney movie posters that merge what he thought would be Tim Burton’s inspiration and touch to make them “Tim Burtonish”. 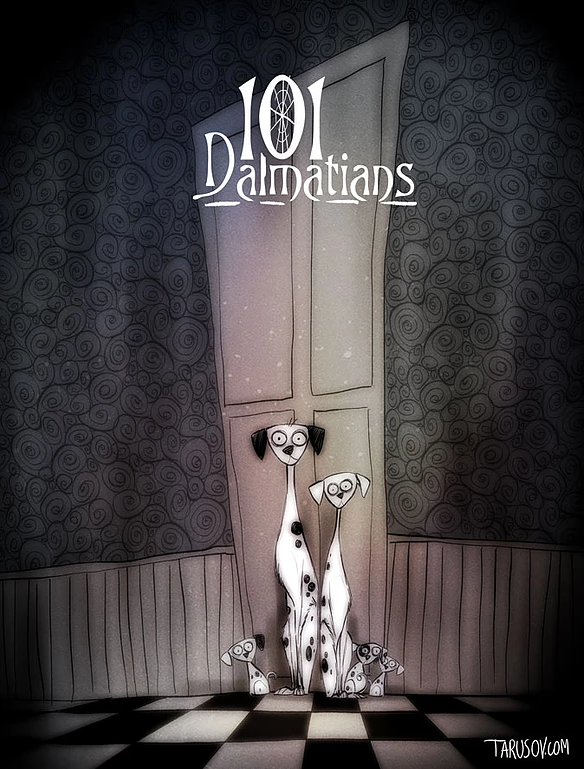 Take a look at some of them! 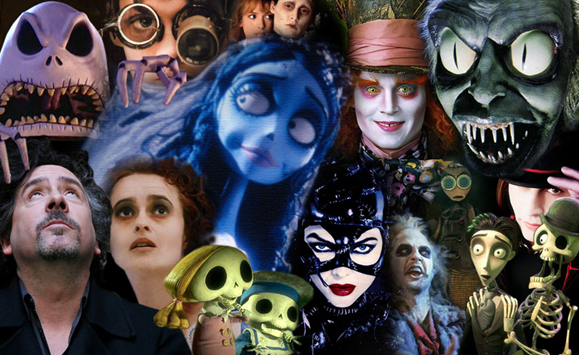 A classic element of Burton is the twirl in many scenes. 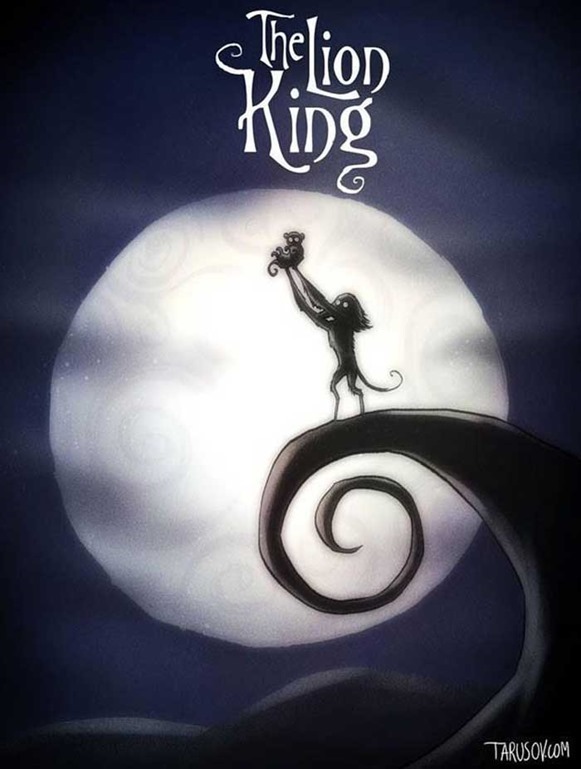 Combined with the Lion King, it looks pretty neat. 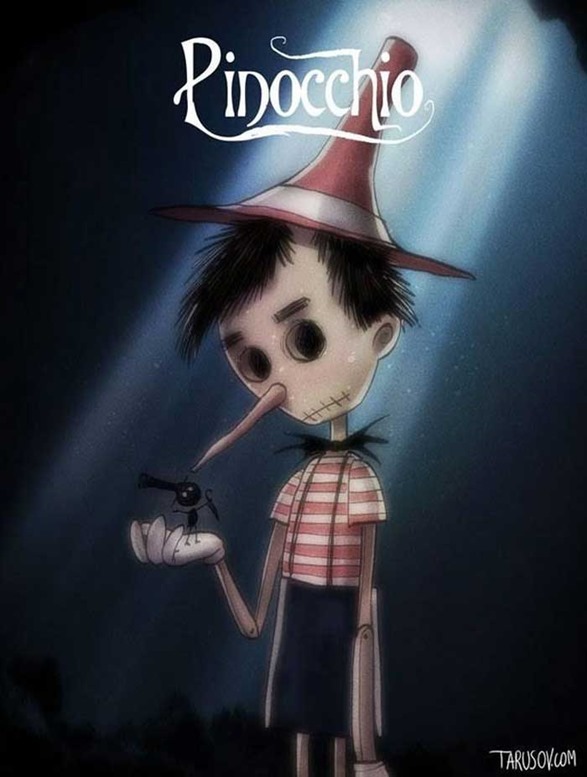 Now that is a Tim Burton Pinocchio if I’ve ever seen one… The eyes are classic Tim Burton style. Whoa. 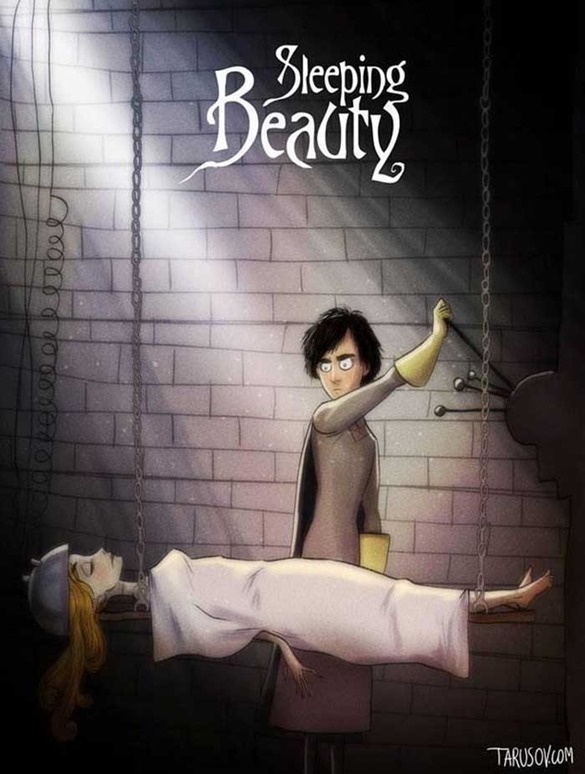 That is one take on Sleeping Beauty I thought I’d never see. 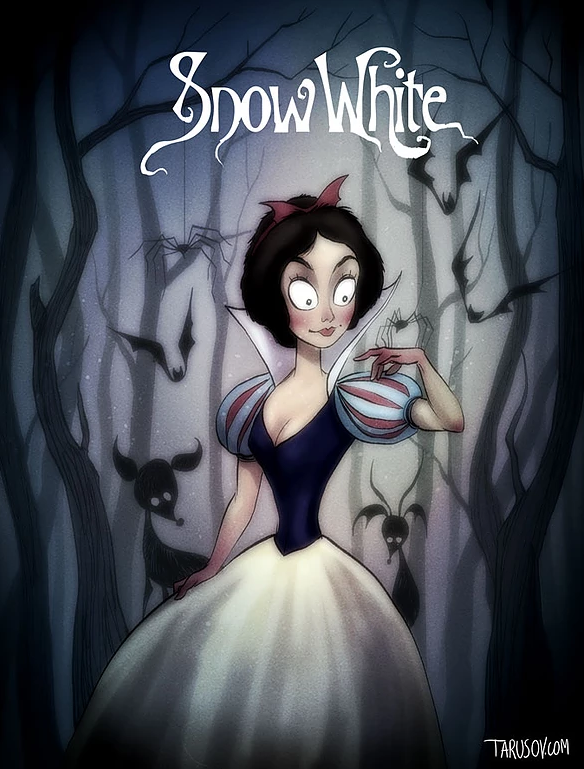 Snow White with a bunch of creepy animals, bats, and deer behind her in a creepy Tim Burton style forest. 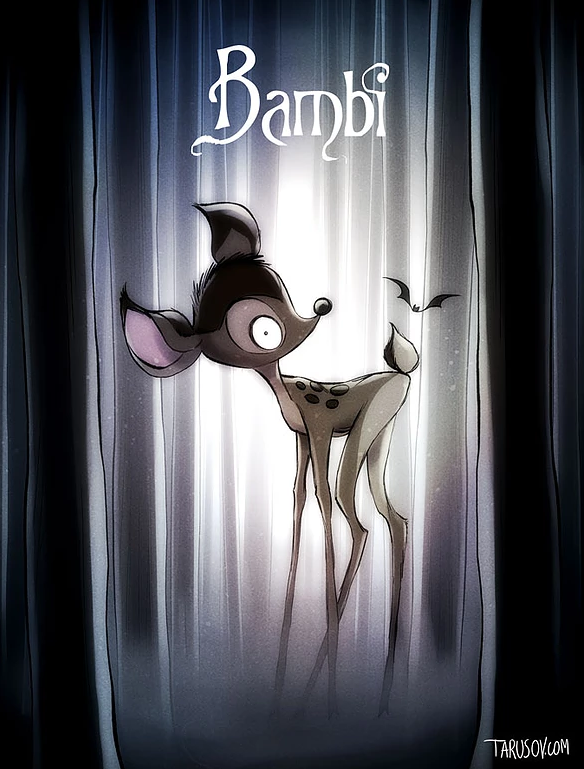 Bambi doesn’t look as sweet as she did in the original. Actually, I think I’m a bit scared of this Bambi. 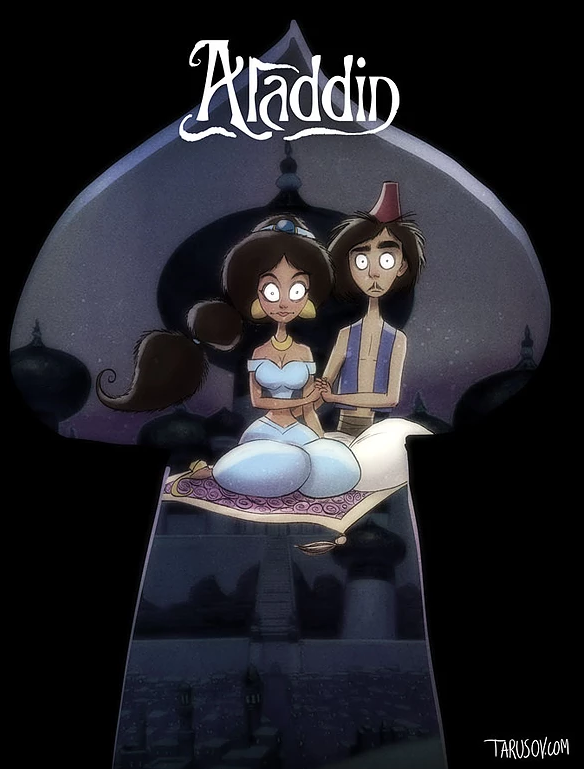 They look like hypnotized Aladdin characters. 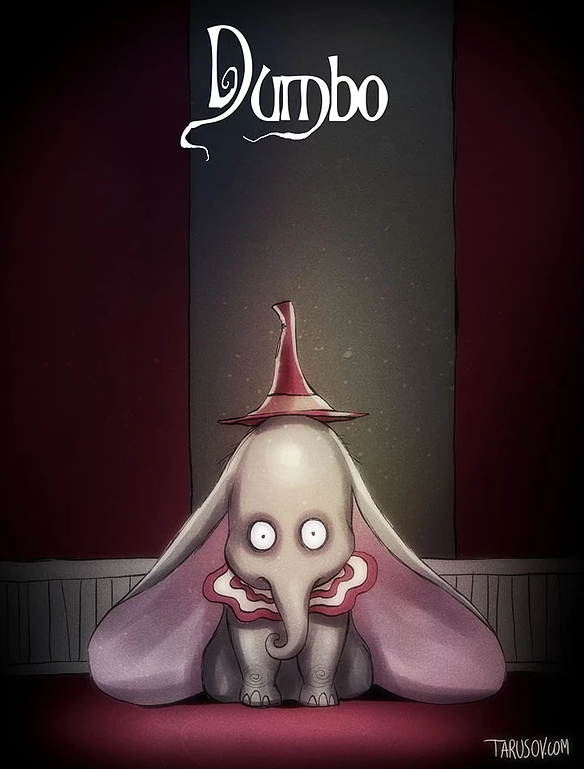 That’s one scary little Dumbo! 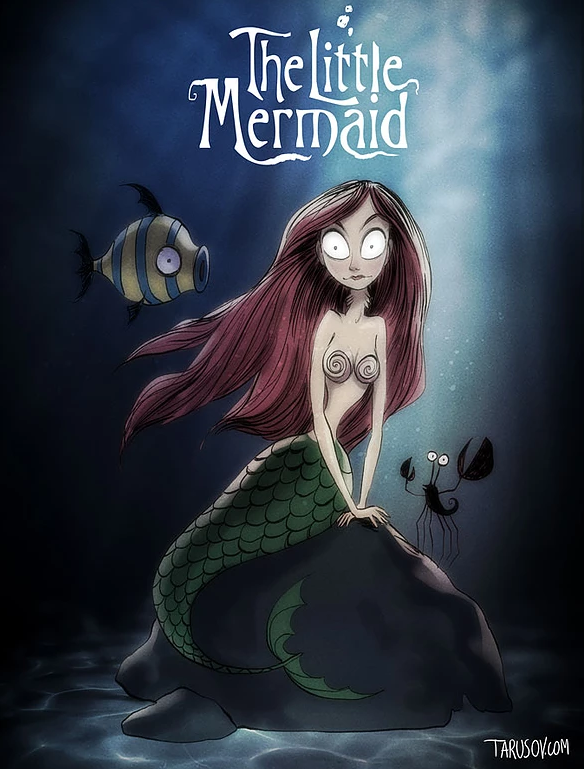 Share these great drawings by clicking SHARE below!